IFP Group (International Fairs and Promotions) in collaboration with the Chamber of Commerce, Industry and Agriculture of Tripoli and North Lebanon, Tripoli Special Economic Zone, and Rashid Karami International Exhibition Center, announced today the launch of the first edition of Tripoli International Conference and Exhibition (TICE), during a press conference held at the Chamber in Tripoli. Addressing the attendees at the press conference were Mr. Albert Aoun; Chairman of IFP Group, H.E. Mrs. Raya El Hassan; Former Minister of Finance, Chairman and General Manager of the Tripoli Special Economic Zone, Dr. Ali Darwiche; member of the Lebanese parliament, Mr. Toufic Dabbousi; President of the Chamber of Commerce, Industry and Agriculture of Tripoli and North Lebanon, Vice President of the Federation of Chambers of Commerce, Industry and Agriculture in Lebanon, and President of “Dabboussi Group Holding”, as well as Mr. Ahmad Kamar Eddin; President of the Municipal Council of Tripoli, and Mr. Akram Ouayda; Chairman of Rashid karameh International Fair Ground. Among the dignitaries attending the press conference was Mr. Mokbel Malak representing H.E. Najib Mikati, Former President of the Council of Ministers. 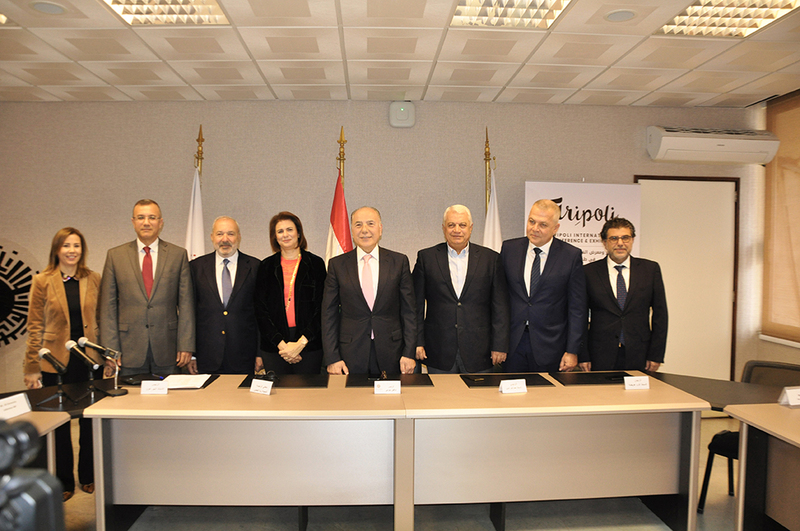 The Tripoli International Conference and Exhibition (TICE) is an initiative that sheds light on the growing importance of Tripoli as a substantial and strategic business hub for Lebanon and the entire region. Lebanon’s capital of the north and the second largest city has gained a major boost in recent years as the government has identified its enormous economic potential. Tripoli continues to be the focal point of substantial development projects that put it on the map as a regional business hub. Projects to upgrade and revamp the city’s logistics, transport, and business infrastructures are underway. Held from 27 November to 1 December 2019 at the Rashid Karameh International Exhibition Center, TICE will bring together investors, startups, manufacturers, suppliers, distributors, as well as local and international business people from various sectors, to explore the latest projects, trade, and investment opportunities in Tripoli. TICE will also feature a conference providing relevant stakeholders from the public and private sectors with a dedicated platform to discuss Tripoli’s economic opportunities and challenges, along with the city’s ongoing and upcoming projects. With in-depth analysis of Tripoli’s strategic role as an accelerator of the local economy and a hub for the development of neighboring countries, the conference will pinpoint major opportunities and identify areas for future collaborations.